The multi-active, refreshing and oil-free gel with thermal elements hydrates the skin and helps it to retain moisture more than 30% longer. 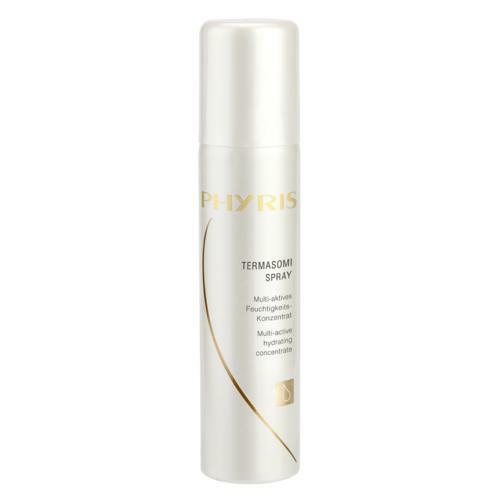 PHYRIS Termasomi Gel also supports the skin’s own functions and improves the penetration of subsequently applied products. Thermal liposomes deliver moisture intensively, nourish the skin with minerals and trace elements, and activate absorption. Moreover, the included Vitamin E improves the skin’s moisture-binding capacity and elasticity. Tip: PHYRIS Termasomi Gel is suitable for every skin type. Especially for customers who want to get a special refreshment and in summer time after sunbathing.